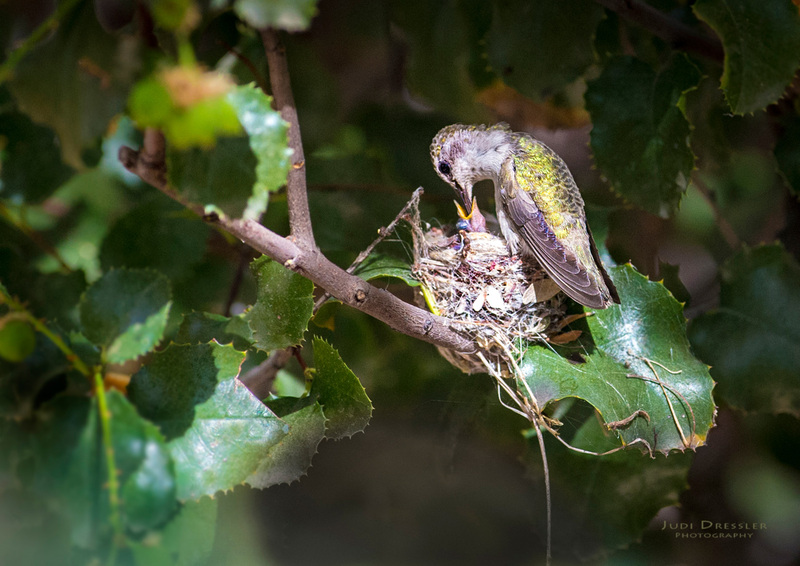 I was so excited to get a photo of this female Costa’s Hummingbird feeding her baby on the nest. This baby is only 3 days old, and you can just see the little head poking out! I was in the hummingbird aviary at Arizona’s Desert Museum, where the male and female Costa’s hummers were vigorously defending their territory from any other intruding hummingbird. The male has a gorgeous violet crown and throat, which shines with iridescence in the light.